Popsicles are undoubtedly one of the great joys of summer. 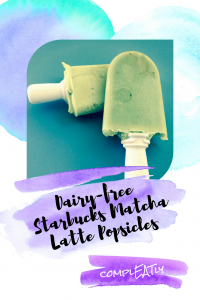 This Starbucks Matcha Latte inspired popsicle is a lovely sweet treat for a hot day. Add all the ingredients to a jar, and shake until all the powder has mixed into the cashew milk. Pour into your popsicle mold and freeze. I used a quick pop maker, but any popsicle maker should work. 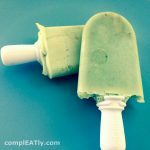 *You’ll want a higher fat milk alternative, otherwise the popsicle gets too hard, and tastes bland.